MicroNIR PAT-U | VIAVI Solutions Inc. 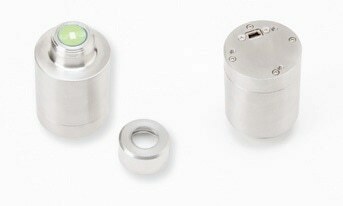 The new MicroNIR PAT-U process spectrometer is a spectrometer innovation from the company. 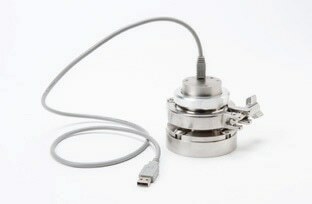 It is a scalable, sturdy next-generation system for real-time process monitoring in pharmaceutical and food process analytical technology (PAT) applications. With proven Viavi linear variable filter (LVF) technology, the PAT-U is recognized to have the smallest form factor on the market in a fit-for-purpose design. This makes it ideal for application with processing equipment of all sizes, with stability and the performance to facilitate efficient manufacturing. The MicroNIR PAT-U can be used in an easy manner and was designed for the present-day demanding GMP-regulated environments; however it still needs marginal system maintenance. There are no moving components or expensive fiber optic cables, enabling excellent instrument stability and performance in challenging process environments. Its stainless steel exterior is water and dust resistant according to IP65 standards and cleans easily. The software package allows deployment flexibility from process/product development to manufacturing environments and offers encrypted secure data storage, audit trails, comprehensive user management and numerous other capabilities required for regulated GMP environments. The MicroNIR Process software is programmed for easy process monitoring of varied process techniques from a variety of MicroNIR spectrometers. Process engineers can smoothly view acquired data and trend results in real-time with concurrent output of key process data to the plant control system. The MicroNIR PAT-U is engineered to guarantee highest flexibility to meet the many varied criteria for process integration. It adds into a process with different mounts. 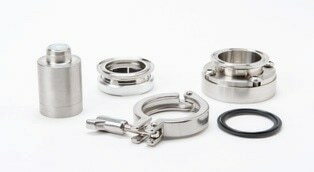 The standard mount includes a weld in base flange, a 2” sanitary (hygienic) flange mount, a sapphire window, and a retaining ring with O-rings. The base flange is welded into a hole cut in the specific process equipment. Next, the window, the sanitary flange mount, and retaining ring are assembled. The PAT-U with a modifiable collet then secures against a sanitary flange and the window using a standard tri-clover clamp (or C-clamp). All pieces can be dismantled for easy cleaning and maintenance.